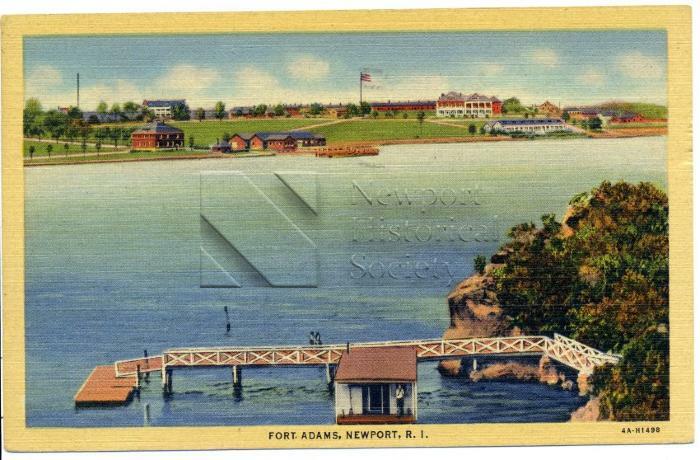 A linen-type postcard of Fort Adams and its outbuildings, looking across Brenton Cove. A note to "Clifford Dubois II" from "Daddy" is written in pencil on reverse. Postcard is postmarked April 22, 1949.